Art is as important to me as breathing. As with life, painting is an adventure – an exploration that comes with challenges, discovery, and wonder. Creating art (painting, sculpting) is about making something that does not already exist. Every painting is a new beginning, a new start…like the dawn. 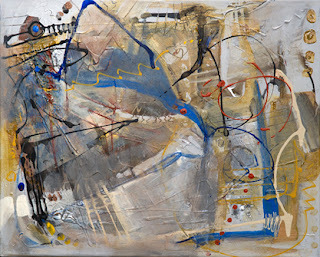 Each painting draws on personal experiences and feelings, emerging from ideas and a love of color and form. If put to music, how would my paintings sound to you? Every day and every painting is one decision followed by another decision and another.... Each painting begins with the determination to be true to my own style and vision. It is about creating something that does not already exist. Each work is a unique adventure, an exploration—with all the challenges and wonder that entails. Like me, my art is a work in progress. It is my passion, and my intent is to be authentic and therefore true to myself and that passion.